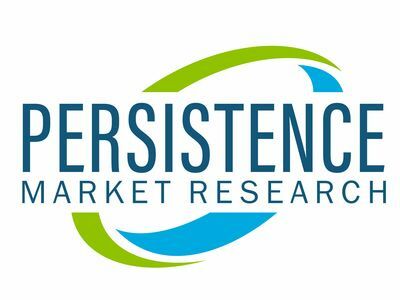 NEW YORK , Feb. 8, 2019 /PRNewswire/ -- Persistence Market Research, in its recent study, titled 'Herbicide Safeners Market: Global Industry Analysis (2013-2017) and Forecast (2018-2027)', gives vital insights on the global herbicide safeners market in terms of volume and value. The global herbicide safeners market is estimated to grow at a CAGR of 5.7% in the terms of value over the forecast period. PMR gives important insights along with various forecasting factors in this report. Herbicide safeners are specialty plant protection products that protect crops from herbicide damage without actually affecting the activity of herbicides on the target species. Herbicide safeners are commercially used to enhance herbicide selectivity between crop and weed species, and can be applied either as a mixture with the herbicide or as seed-treatment to the crop seed before sowing. Thus, herbicide safeners help increase crop yield, and ultimately meet the increasing demand for food. This factor acts as one the significant drivers for the herbicide safeners market. By type of herbicide safeners, the benoxacor segment is estimated to grow into a prominent segment in the global herbicide safeners market. The benoxacor segment is estimated to have a market share of 45.4% in 2019, and grow at a healthy CAGR of 7.3% over the forecast period, owing the increasing use as herbicide safeners for soybean, maize, and sorghum crops. By application stage of herbicide safeners, the post emergence segment is expected to be a prominent segment in the global herbicide safeners market in terms of volume in 2019, with around 68.4% market share. By crops, maize and soybeans have a prominent share in the global herbicide safeners market due to increasing plantation of these crops. Herbicide safeners help remove weeds at their early stage of life, and thus help increasing the yield and productivity of crops. Rapid industrialization and urbanization, increasing population, as well as growing energy needs have increased the need for food products from lesser land area. The increasing prevalence of weeds with changing climatic conditions has led to a decrease in the quality and yield of various agricultural crops. Herbicides are gaining popularity for use, owing to the increasing demand for crop solution products. However, the use of herbicides can damage the crops along with the weeds, and thus reduce yield as well as cause the death of plants. Herbicide safeners are thus gaining popularity, as they protect the crops from the use of herbicides. Herbicide safeners are used for the protection of major monocot crops such as barley, sorghum, maize, rice, wheat, and soybean. The increasing production of these crops is expected to positively grow the herbicide safeners market. Thus, with increasing demand from the agricultural sector, the demand for herbicide safeners is expected to increase over the forecast period. The global herbicide safeners market has been regionally segmented as North America, Latin America, Europe, Asia Pacific, and the Middle East & Africa. Latin America is expected to be a prominent region in the global herbicide safeners Market. Latin America currently accounts for a major share in the global herbicide safeners market, and is expected to have the largest share over the forecast period, owing to high cultivation of soybean and maize. North America follows Latin America in market share for herbicide safeners, owing to the presence of key players and the demand for herbicide safeners for maize and soybean cultivation. Asia Pacific, however, is estimated to grow at a high CAGR in the herbicide safeners market over the forecast period, owing to the growing demand due to the higher cultivation of wheat, rice, and maize. This report highlights the opportunities as well as trends in various segments to give detailed, important insights and analysis on the growth of the global herbicide safeners market. Towards the end of the report, a detailed competitive landscape of prominent players in the herbicide safeners market is offered. Company profiles provide the key offerings, and short-term and long-term strategies of key players. The report also throws light on the recent developments in the herbicide safeners market space. The information presented in this review is based on a PMR report, titled "Herbicide Safeners Market Segmentation By Type- Benoxacor, Furiazole,Dichlormid, Isoxodifen, Fluxofenim; Application Stage-Pre-Emergence, Post-Emergence; Crops-Barley, Maize, Rice, Sorghum, Soybeans, Wheat and Others- Global Industry Analysis, Size, Share, Growth, Trends, and Forecast 2018 - 2027"